for heavy duty MIG/MAG welding, MMA welding and airarc gouging. 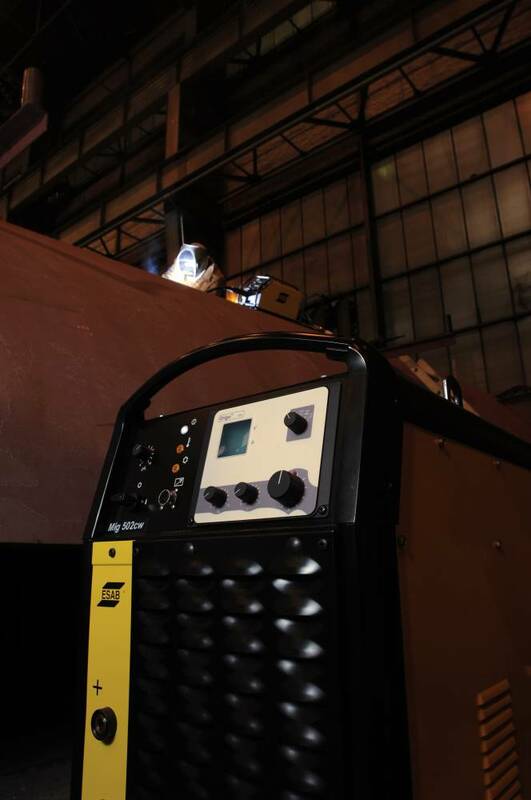 Well proven technology together with ESAB developed software provides high reliability and outstanding welding performance. A strong metal casing makes these units the perfect solution for harsh environments. The large wheels, sturdy lifting eyelets and an under carriage designed to allow the Origo™ Mig to be lifted by a forklift, makes these units highly manoeuvrable.